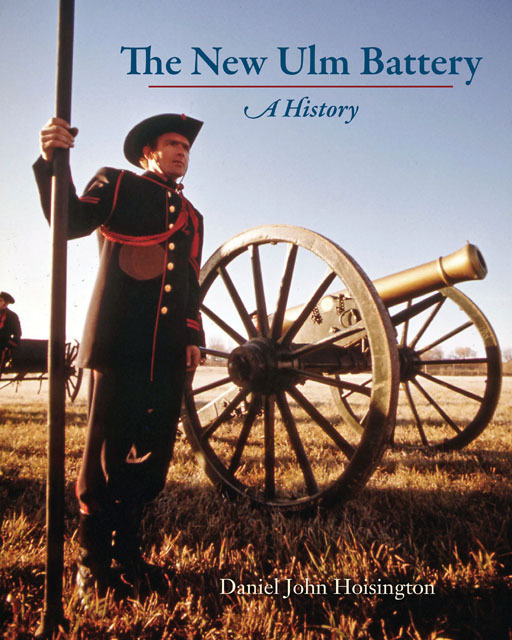 The New Ulm Battery: A History will be released on December 15, 2015, beginning with an event at the New Ulm Public Library at 6 p.m. Daniel John Hoisington, the author, will talk about the Battery and its place in local history. He will share some key moments that shaped the unit during the U.S.-Dakota War of 1862, as well as its close association with the rise of the National Guard in Minnesota. The program is free and open to the public. The book is available at $19.95 for the softbound edition. Posted in: Edinborough Press, New Ulm, U.S.-Dakota War of 1862. Tagged: Burg's Battery, New Ulm Battery.